This woodworkers list of woodworking plans features a collection of construction projects for building various caddys for your home, workshop and garden. Any moderately skilled do-it-yourselfer can build. 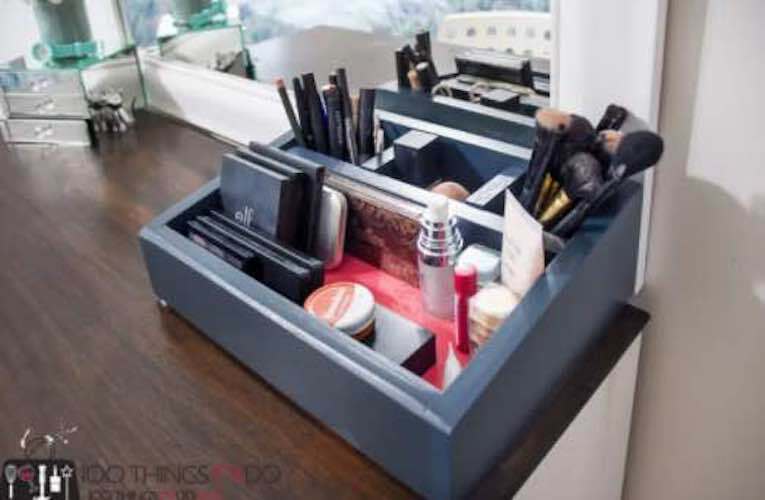 Get your makeup or even office supplies organized by building this wooden caddy using these free plans. Build this caddy using wood from your scrap wood pile. At the link are complete step-by-step instructions. Tote for Legos free plan. Build this fun portable lego tote using the free plans at the link. Perfect for long car rides. Free plan to build a Plant Caddy. Use the free instructions at the link to build this easy mobile plant caddy. Build this dessert carrier using these free step-by-step woodworking plans. Free plan to build a Wine Caddy. Build a wine caddy with space for wine glasses using this free downloadable tutorial. Keep the bathroom organized by building this bathroom storage caddy. At the link are complete instructions as well as a video of the build. Build this wooden caddy using these free downloadable woodworking plans. Build a multi-use storage cube perfect for a truck. Build it using these free step-by-step instructions.